Our newest release is an 11 song compilation that has been re-mastered from our past original albums "WWW.ebsters" and "You Were A Friend To Me". Joining me for two songs on this CD are Tom Cosgrove and Jim Weider on Guitars, Larry Russell and Rick Mullen on Bass and Randy Ciarlante on Drums. Produced and Performed by yours truly, this a wonderful collection of music and stories that we hope you'll enjoy! This 5 song compilation EP is our recent issue from PSMedia and Woodstock Records. 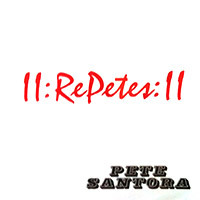 "RePete" features some fine Counrty Rock and Americana oriented musical tunes for your listening pleasure. Three have been recorded with the great Professor Louie at Woodstock Records Studio and feature music legends John Platania on Guitar, Charlie Kniceley on Bass and Gary Burke on Drums. It also contains our single release "I Buy U.U. Goods", recorded at Brooklyn's 825 Studio with Matty Amendola. He engineered and plays Drums and the incredible Lisa Brigantino plays Bass with Tomi Milioto on Guitar and special guest Benny Harrison on Keys and Vocals. And, the music track from our video "I Love This Country and Country Music" rounds out the EP. 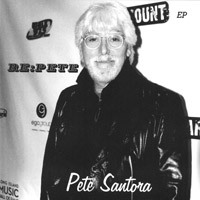 Check out some music samples and videos here on the page and download and purchase a copy of "RePete" today. Thanks to all of you out there for your support for independent artists! This song is our musical contribution to the potential re-growth of the American economy via good old Rock and Roll. Recorded in Brooklyn, USA at 825 Studio and co-produced with along with famed drummer Matty Amendola, this track is a true anthem for the times. Featuring Lez Zepplin's "cousin" Lisa Brigantino on Bass, Classical Master Tomi Millioto on Guitar, the incredible Benny Harrison on Keyboards and Vocals along with Matty A. on drums. 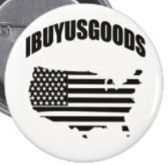 We plan to create "Ibuyusgoods.com" in order to expand our web page to include merchandising as well as products that are made in Americas! Stay tuned!